Quote Roller Keeps Adding Features for You! More Features You’ve Been Asking For, including Pay with PayPal! How many times do we have to tell you, keep telling us what you want and we’ll keep working to give it to you! This week, we’re getting your proposals equipped with PayPal and your whole client lifecycle streamlined with BaseCRM, and more…. Get paid with PayPal right when things get signed! Our new PayPal block allows your customers to pay for the accepted proposals from PayPal system. Just specify the email for the payment and then your client pays from PayPal to this email from his/her own Paypal account. 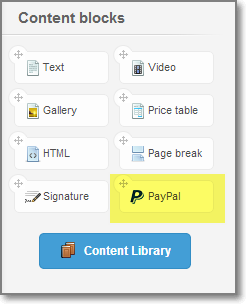 The PayPal block is now part of Content Block and can be added to both templates and proposals. 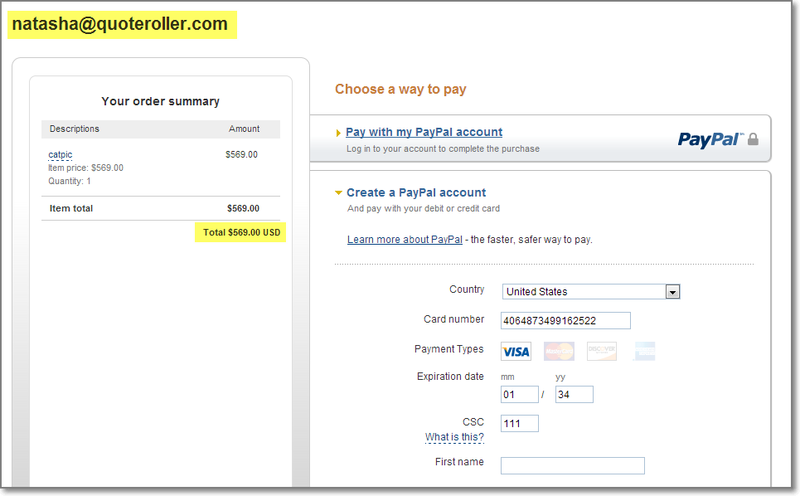 Simply drag and drop it into the section, specify your PayPal email and the payment amount. As soon as a proposal is paid, the PayPal button is changed to a “PAID” label. The client can even pay for the proposal even before its acceptance. The Pay with PayPal button is available for all statuses of the proposal. An added PayPal block can be displayed as a button on the Web form, but it isn’t displayed in a PDF doc. It is possible to include several PayPal blocks to one proposal, set up different emails, etc. Go here to view the currencies supported by PayPal. Basically, now you can do your entire client lifecycle within Quote Roller! We’ve made another integration partnership with Base CRM, and their team even gave us some pointers on How to Make Your Team Ten Times More Productive!As always you can enable the integration on your integrations page. If you have the Enterprise Plan, you can now collaborate and assign different tasks within the same proposal. Now you can sell to Vietnam! The best part of working for a startup may be that your customers can be anywhere in the world. Now, you can create proposals using the Vietnamese Dong currency. So What Next? Comment on this blog post to tell us who you want us to integrate with next and what features you’d like to see on Quote Roller!